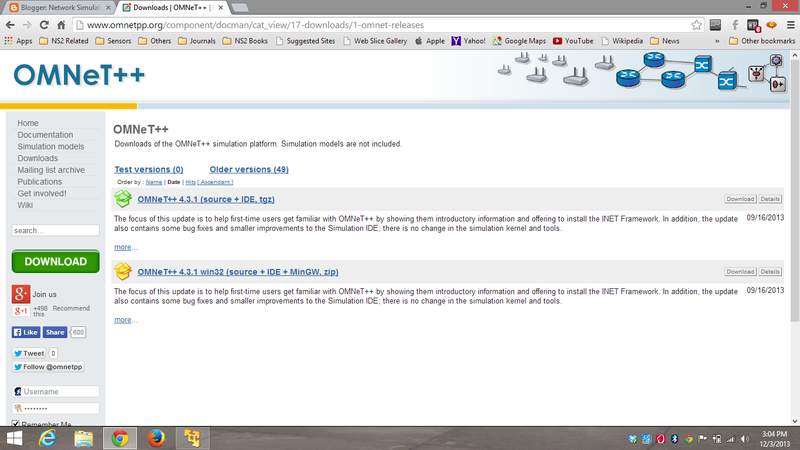 I have downloaded the Omnet version 4.3. Older Versions of OMNeT++ may need Visual Studio installation. Actually speaking, OMNeT++ is developed for Linux operating Systems, but this also supports Windows OS through the mingw (Minimalist GNU for Windows) support. Other One being Cygwin (If you want to use Cygwin try on your own). Step 2: Once Downloaded, unzip the contents to C: or D: (as per your choice), while put the contents in a folder, use single word folder name as in D:/omnet or D:/omnet4 or D:/software and not to use d:/Program Files (Program Files is two word, which should be avoided for setting the PATH Information). The ./configure command will collect the information for all the dependency files (OMNeT++ gives you all the dependency file that are needed to install omnet in your machine). for opening the IDE for developing and simulating the networks.